Submitted by Anonymous on November 30, 2006 - 5:56pm. Submitted by ZEMOGCYBORG on December 14, 2006 - 9:36pm. Brian,who are you talking to on the stickam? Submitted by Sapient on December 14, 2006 - 9:59pm. Click the magnifying glass on the left hand side of the video window to enter the room and chat. Submitted by josh on December 25, 2006 - 7:57pm. Submitted by ZEMOGCYBORG on December 29, 2006 - 12:51pm. Submitted by Hambydammit on January 8, 2007 - 12:05am. So, is there a reason why I can only get into the webcam room about 25% of the time? The other 75% it either won't open up the window (clicky clicky -- nothing happens) or it opens and stalls indefinitely. Submitted by Sapient on January 8, 2007 - 12:25am. Yes Hamby, because I don't always have the room up and running. Soon I'll have a little window that will alert users when we're live. Submitted by Hambydammit on January 8, 2007 - 12:28am. Cool. There are only so many ways I can string profanity together when arguing with my computer, and I was about to run out of combinations. Submitted by WolfinWolfsClothing on January 20, 2007 - 5:11pm. Submitted by Jesterspace on January 24, 2007 - 12:34pm. I hope that this 'Jesterspace Brand ™ Helpful Tip for a more Colorful Speech' is of some utility to you. If it has, feel free to PayPal. Submitted by HereticChick on March 2, 2007 - 8:59pm. Very nice room I like what you've done with the place! Submitted by stelthkote89 on May 11, 2007 - 2:06am. Submitted by Dave_G on May 17, 2007 - 7:14pm. What time do u guys usually get on? Submitted by American Atheist on May 17, 2007 - 7:21pm. You can get in the chatroom by clicking on the "rationalsquad" box, just under the "Get RRS Shirts" banner. Submitted by brights on May 19, 2007 - 11:33pm. I have a problem with the chat rooms in stickam. When I go in the chat room I can't always get to the bottom of the page and type my um responses. I tried to make the page bigger by clicking on the square on top right of my page and I tried to make it bigger by moving mouse to bottom of page and get the arrow that stretches the page but that doesn't even work. Sometimes I get lucky and can scroll up and down on the chat rm. page but that is few and far between. Submitted by pokerpooner on June 1, 2007 - 10:35pm. I think kirk cameron is a liar and only motivated by getting people to donated money. Submitted by brights on June 14, 2007 - 6:40pm. Yes I agree and IMO he is also trying desperately to hold on to his former celebrity status. I'm sick of hearing how he was a child actor. Notice how his flopped left behind series is never mentioned. Submitted by crimson90 on September 24, 2007 - 3:28pm. Submitted by butch on October 2, 2007 - 1:15am. You no like me no more? Submitted by butch on October 6, 2007 - 1:51am. Submitted by Dave_G on October 13, 2007 - 11:49pm. why isnt this room ever on anymore? Submitted by Sapient on October 14, 2007 - 12:24am. I rarely read the comments in this thread. When you see me in the webcam room, you have to come in the webcam room to hang out. With that said Butch, even if I were around in the chatroom I would likely be more focused on my activism, than conversation with you (please... no offense). I have put debating theists on the sideline for a bit, to actually get huge amounts of work done behind the scenes. I still try to "spar" with someone once per week or so, however you're not exactly the best candidate for that either. I like you alot as a person, I think you're a really nice guy that could be just about anybody's friend. You however don't fit the description of someone who I'd try to "spar" with. I like talking with people who at least seem willing to admit that they could be wrong. I've talked with no less than 500 Christians that are as kind as you, at length, in the last 10 years... and it almost feels as if you think you're bringing something new to the table. You're not. In part it may seem that way because you seem to follow me around quite a bit. When you do so, you very genuinely seem to care however when you present your points, like I said, you seem to treat them as some sort of important truth that I've never heard. If I'm right in my assessment, what I'd love for you to do, is come back and talk with me at length after you can say you've looked through 100 hours of this portion of our website. Try to find out a little more about us, and our experiences before you try to preach to us about how we should be. For you would know we've been there already. Focus instead on what you could ask us about our decisions to abandon faith and why we would make them. Have you asked a question like that without preaching some godly message in return? I should mention, the persistent following me around as if I'm any more worthy of your message than any one of my friends (who always talk with you in my absence), seems odd. If you were to somehow prove that god exists, that there was reason to believe, and that all of us actually need to be saved from hell... the word would get back to me, trust me. I apologize Butch, but in the current manner that I have decided to hone my work, I don't see me having the time for at least another month or two. I am regretful that I can't put in to words yet exactly what I mean by "honed activism," however I can say that I picked up valuable lessons from the worlds most well known atheists as to the level of time I should be spending doing specific types of work. And frankly debating theists on arguments I've covered, written about, spoken about, and done videos about is not at the top of the list of priorities. Snoop around a bit... for a month or two... I spent 18 months giving you everything you need to know to leave your bronze age ridiculously silly beliefs behind. Here's a whole section of radio shows for free. Would somone who hangs out in the stickam conference room make sure Butch sees this? Or maybe someone can alert him via youtube? Sorry I went so long, I guess I was looking for the right place to get some of this off my chest. Submitted by butch on October 17, 2007 - 10:14pm. Submitted by Sapient on October 17, 2007 - 10:29pm. Apology accepted, sorry you misunderstood the first time. I seriously didn't believe that "Suteup" was you, which is why I kicked you. I said, come back in the room as Butch, so I knew it was you. Anywho... all resolved now. Submitted by butch on October 23, 2007 - 12:33am. Hey man, just wanted to thank you again and hope yuo had some time to review the Atheist - Christian Coalition for Charity test Vid. Hoping we all could get together and mesh it out. Hey!!! its charity right? We drop our opinions at the door and do the right thing for those who arent as fortunate (healthwise) as ourselves. Would this be a part of your activism by chance? Or should I say could it be? I think it would be great if i could ask the questions Ive been wanting to ask you b ut Belger i9s bound and determine to stop my entrance into your room. So lets youtube maybe. hes designated me a KOS . A totl misuse of mod powers Id say, and all i was doing was talking to brett Keanne. Anyway I am very interested to hear what you have to say about this projct im involved with. Lord Disturbed and my self along with several others are getting in on it. we watch eachothers back right or wrong it the chat rooms. I was looking for Lord Disturbed to get some info, so thats why I camer into rrs tonight, then I was kicked by Belger143. Anyway, thats the way he is, so be it. Hope we can get up, and think for me,lo,l Later!!! Submitted by I AM GOD AS YOU on November 15, 2007 - 3:09am. I like simple , I prefer garage bands , like zep. Hey I miss you guys just laughing live, what happened to that ? Submitted by hails8n666 on March 18, 2008 - 11:58pm. 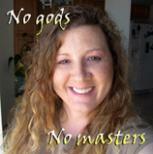 No gods, no masters! I love it! Submitted by sunilk260351 (not verified) on September 12, 2009 - 7:50am. You are looking great. I know you are very smart and i love your good looking persinolity and your smartness. Submitted by Jamie on December 19, 2009 - 9:39am. I bet 6 peaple wont work out its gonna be chaos with the delay they will be alot of talking over each other and stuff. or maybe im just miss understanding somthing. i reckon you should test 6 peaple at once in advance. Submitted by Sapient on December 19, 2009 - 1:49pm. We've had 6 people in there many times before. As long as people are respectful of others talking it's fine. I also have the ability to remove someone from a cam slot if they aren't following the flow. It's likely that we'll keep rotating people in and out of the cam slots to try to give everyone time. Submitted by illicitizen on December 25, 2009 - 5:04pm. But weren't Jesus and his goofy family ALL illegal aliens?